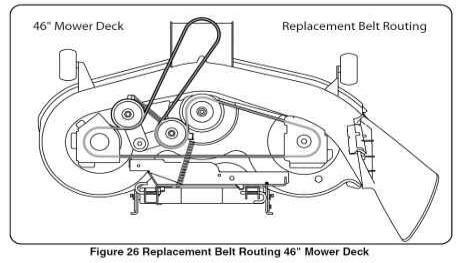 Installing a new belt on a mower deck can be confusing at times. 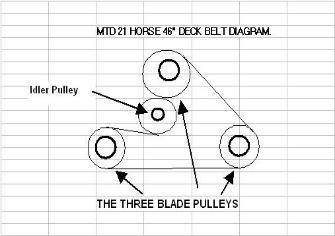 We've gathered here a few pictures of different deck belt routing patterns. 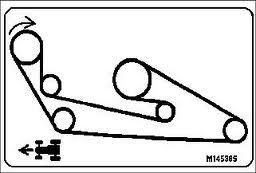 21 in the picture. 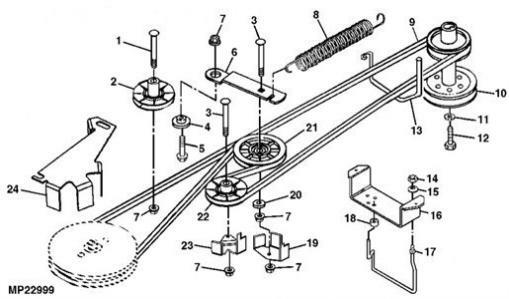 Also be careful to route your belt INSIDE the metal guides (# 13 & # 17) when installing your belt. 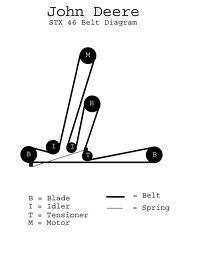 meaning that the back of the belt rides against the pulley and the blade pulleys are "Grooved Pulleys"
designed to contact the inside of the belt. 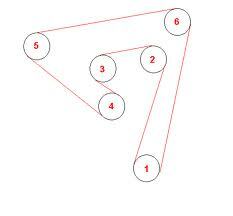 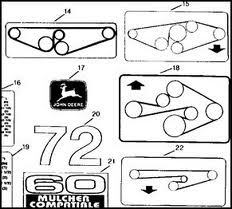 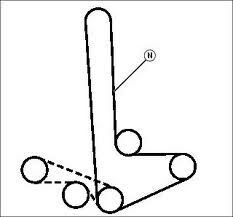 Here are a few examples of John Deere belt routing diagrams. 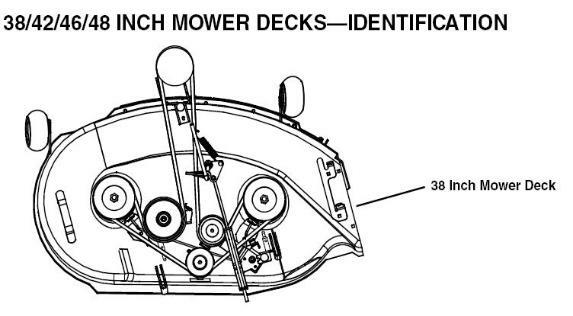 The one on the left is for a front mount mower deck. 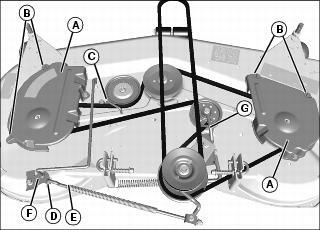 and what is a grooved pulley and how they interact with the belt.